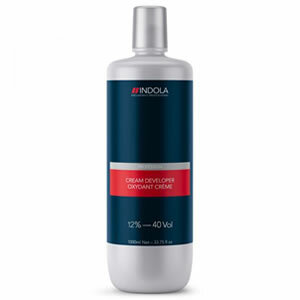 Indola Profession Cream Developer is a cream peroxide that's specially optimised with work with Indola bleaches and hair colours. 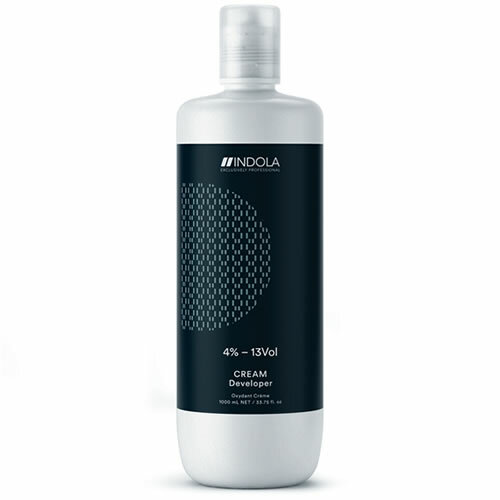 Its formula works in harmony with Indola's Permanent Caring Colour to care for the hair as it's coloured, leaving it smooth and shiny with colour locked in. 2% (7 vol)—ideal for refreshing lengths and ends or applying pastels to bleached hair. 4% (13 vol)—designed for use with Indola Color Transformer. 6% (20 vol)—best for colouring darker or to the same depth. Ideal for white hair coverage. 9% (30 vol)—perfect for lightening by 2–3 levels. Use with the Profession Contrast shades. 12% (40 vol)—also suitable for use with the Contrast shades. Use for lightening up to 4 levels. Dust-free, blue or white powder bleach with special restructuring agents and improved formulation. Comes in a 500-gram tub.